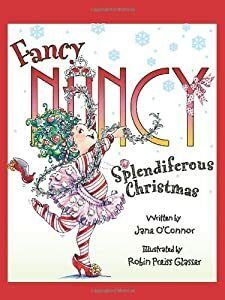 I read Fancy Nancy’s Christmas book to my daughter the other night. The tragedy that occurs in the story is that the very fancy, sparkling, tree topper tumbled to the ground and broke into many small pieces. Nancy was devastated! Shortly after this event, her grandfather arrives at the house and the site of the disaster and makes the comment “When life gives you eggs, make eggnog”. After Nancy inquires what this means, the grandfather explains that when life gives you bad things, make the most out of them (my words, not the exact words of the character). I reflected on what a simple, profound statement this one. So, how do we lose this innate ability to bounce back quickly from sadness and stress? I urge you during this season of joy, a season grabbed by children, to reflect on being a child, in all sense of the word. Take the time to count your blessings and to make a heirloom from what you have. Take the time to see the joy in the season and the joy around you. Take the time to be resilient. It is part of your being. You may have forgotten how to be resilient, but it is there. Pull it out and claim it as your own again. My family’s story of resilience is about to be released in book form December 17th! Miracles for Daddy: A Family’s Inspirational Fight against a Modern Medical Goliath tells the story of my husband’s illness and our struggle to gain footing again. It is my family’s story of making eggnog from eggs. It will inspire you to do the same. To count your blessings and to see the good, the miracles, those that are present around us all the time. Pre-order your copy today and save 20% (click on book image to the right).